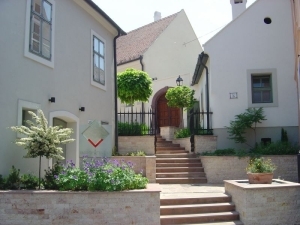 Address: 8200 Veszprém, Vár u. 3-5-7. The works of art by Hungarian masters are completed with the sculptures, paintings, drawings and multiplied graphics by the greatest representatives of European abstract art under the title "Constructive concepts". In the exhibition halls of the eclectic building complex you can see temporary exhibitions.